B and I decided to go get some lunch at Off the Grid food trucks, then go hiking at Mt. Tamalpais. 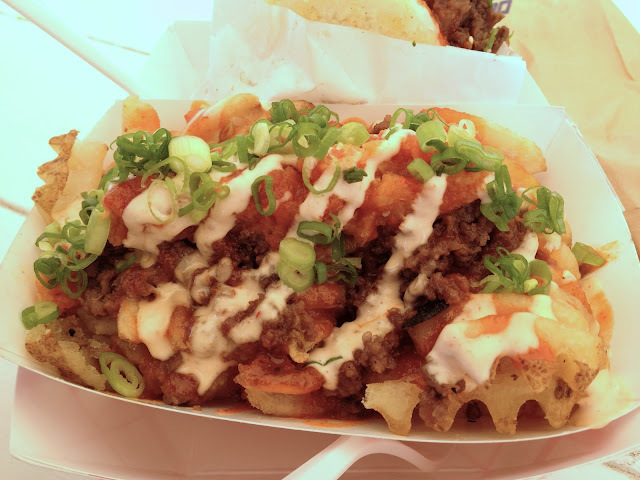 I decided on one of my favorites, Koja Kitchen, and got the Kamikaze Combo which consists of your choice of Koja, and the Kamikaze Fries. 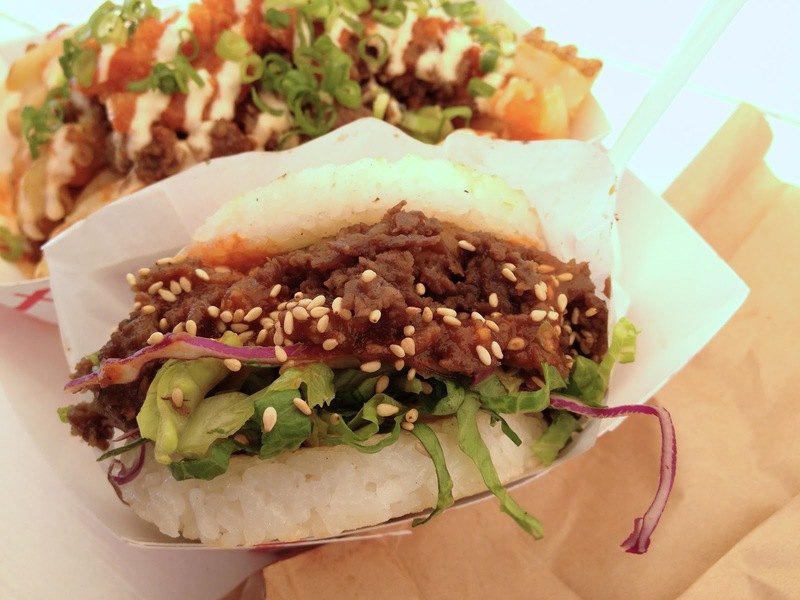 I chose BBQ Short Rib Koja with added pineapple. Sorry the lighting is so bad on these photos, I was in a tent that made all the light orange. 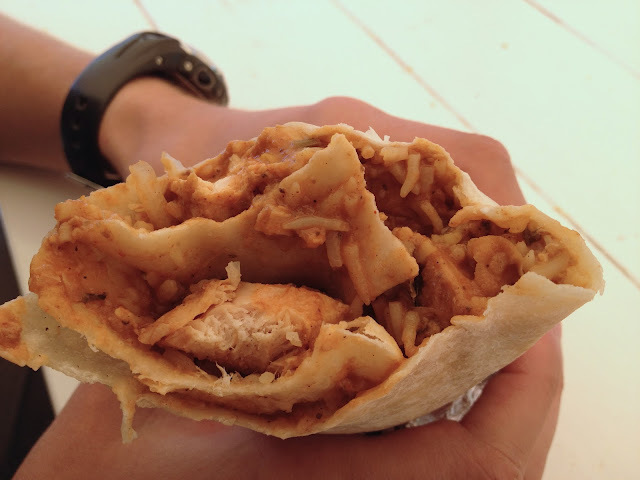 Here's what B got at Curry Up Now, the Chicken Tikka Masala burrito. It was really flavorful. 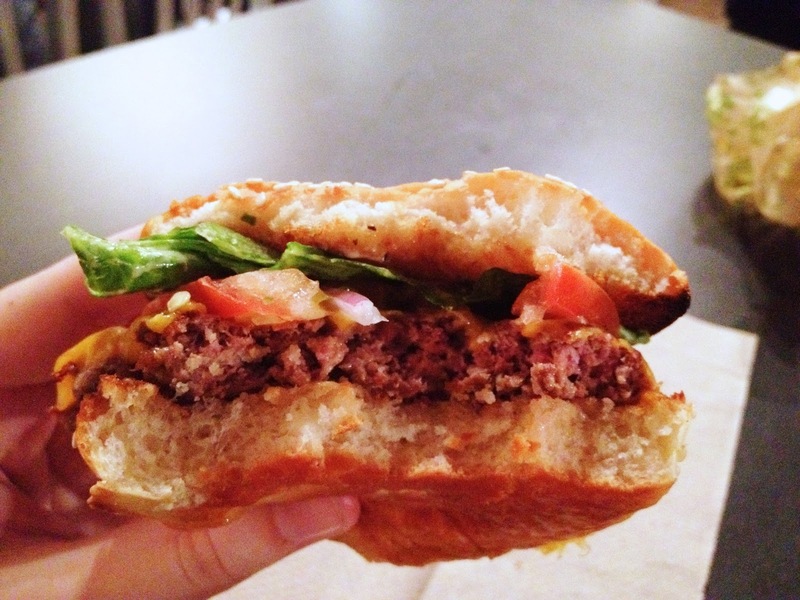 After we went hiking, we got back to the city and decided to try Super Duper Burgers. It was kind of dark in there, so these photos didn't turn out the best either. Luckily, I've been there again since, and have some better photos in later posts. 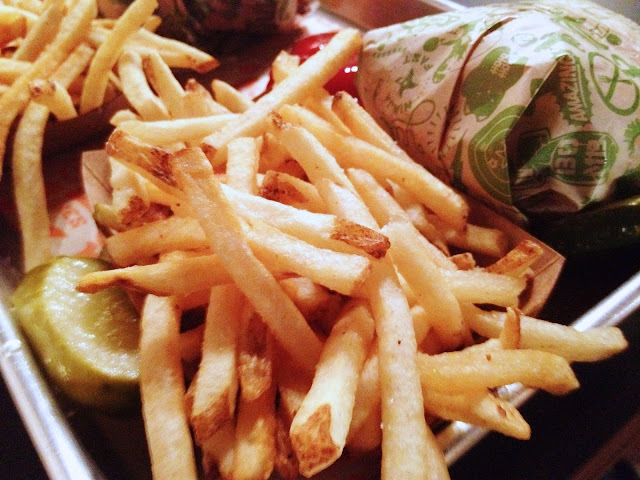 The fries were delicious, and they also have homemade pickles that you can put on the burger or just munch on. They're delicious and addicting!